The Toronto Marlies signed goaltender Karri Ramo to an American Hockey League tryout (ATO), the team announced on Tuesday. The news comes on the same day netminder Jhonas Enroth cleared waivers, according to Sportsnet’s Chris Johnston. 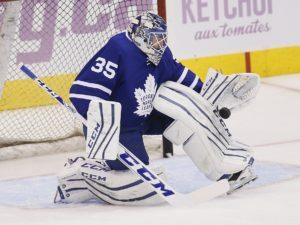 Enroth, 28, signed a one-year, $750,000 deal with the Maple Leafs this offseason and was expected to be the backup for starter Frederik Andersen this season. In six games of action, Enroth has posted an 0-3-1 record with a 3.94 goals-against average and .872 save percentage. Ramo, 30, suffered a torn ACL and meniscus damage in his left knee in February and was not medically cleared to play before this season, keeping the unrestricted free agent from signing an NHL contract. Despite signing the ATO, Ramo’s agent, Todd Diamond, says the Finnish netminder is still free to sign with another NHL team, according to ESPN.com’s Craig Custance. If Ramo is able to prove he is physically able to play at a high level during his expected stint with the Marlies, he appears set to earn the backup role with the Maple Leafs. 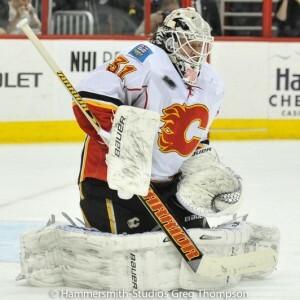 However, it’s also possible Ramo chooses to sign with another NHL team in the end. The Maple Leafs will have an opportunity to sign him to an NHL deal, but it doesn’t mean other teams aren’t considering Ramo as an option, including the Los Angeles Kings, according to ESPN.com’s Pierre LeBrun. He noted that it does not mean things will go anywhere with the Kings, but that it’s at least an internal discussion the club is having. The Kings have been without starting goaltender Jonathan Quick and Peter Budaj has taken on the starting role in his absence. Budaj, 34, has played in 23 games this season and posted a 12-7-2 record with a 2.23 save percentage and a .909 save percentage, but a reliable backup is a need for the club right now. Ramo’s future with the Maple Leafs organization and in the NHL will become a lot clearer based upon how he fares during his time with the Marlies in the next week to 14 days. 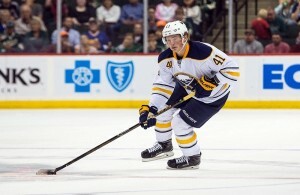 Jack Eichel made his season debut with the Buffalo Sabres just four games ago after recovering from a high ankle sprain he suffered in a team practice before the season started. It turns out, however, he’s also been playing through hip soreness, according to Sportsnet’s John Shannon. The Sabres forward has scored three goals and an assist this season and tweaked his ankle during the team’s 3-2 overtime loss to the Washington Capitals on Monday. Despite the scare, Eichel will be in the lineup when the Sabres take on the Edmonton Oilers on Tuesday. Eichel spoke to the media about tweaking his ankle, but says that he is feeling good and ready to play. Tuesday’s matchup against the Oilers will mark another opportunity for Eichel, the second overall pick in the 2015 NHL Entry Draft, to play Connor McDavid, who went first overall in that draft. Eichel, however, isn’t looking at it as ‘Eichel vs. McDavid’ and is taking a team-first approach. San Jose Sharks forward Logan Couture underwent a minor procedure on Saturday to remove one of six screws in his ankle he had repaired last October, according to CSN Bay Area’s Kevin Kurz. Couture fractured his fibula on Oct. 15, 2015, and underwent surgery shortly thereafter. He missed 23 games early last season as he recovered from the procedure, but decided to undergo this adjustment after his ankle began to bother him after a game against the Tampa Bay Lightning on Nov. 12, 2016. The procedure on Saturday took place in under 10 minutes and Couture is questionable to play in Wednesday’s game against the Ottawa Senators, according Kurz. Ottawa Senators forward Curtis Lazar is out indefinitely with an upper-body injury, according to the Ottawa Citizen’s Ken Warren. Doesn't sound like Curtis Lazar's injury is considered serious, which means he isn't expected to miss much action. 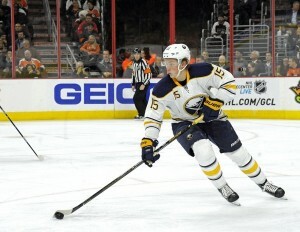 Lazar suffered the injury during the team’s 8-5 loss to the Pittsburgh Penguins on Monday. The 21-year-old has skated in nine games this season and been held scoreless while averaging over nine minutes of ice time per contest before the injury. Roster update: The #Sens have recalled forward Phil Varone and goaltender Andrew Hammond from @SenatorsAHL. — The Philadelphia Flyers will be without forward Matt Read for approximately four weeks with an upper-body injury, the team announced on Tuesday. Read was injured during Sunday’s 4-2 win over the Nashville Predators. — USA Hockey announced a list 37 players who have been invited to the 2016 Women’s Winter Training Camp from Dec. 12 to Dec. 15, 2016, in Plymouth, MI. The training camp will be used to evaluate players for roster spots on the U.S. Women’s Select Team for a pair of games they will play against Canada on Dec. 17 and Dec. 19, 2016. It will also be used to put together the roster for the United States’ 2016 IIHF Women’s World Championship team for next year’s tournament. — The Winnipeg Jets signed defenseman Logan Stanley to a three-year, entry-level contract, the team announced on Tuesday. Stanley, 18, was selected by the Jets 18th overall in the 2016 NHL Entry Draft and is currently playing in his third season with the Ontario Hockey League’s Windsor Spitfires. #NHLJets sign @loganstanley_17 to a three-year entry-level contract. — Yahoo Sports NHL and the ECHL’s Reading Royals have teamed up to auction off a Kiss-themed jersey with proceeds going to the Mario Lemieux Foundation. Have a look at this unique hockey collectible! Bids can be placed through eBay and ends on Dec. 13. — The San Jose Sharks tweeted out pictures of Joe Thornton, to poke fun at his impressive beard in the present day. — The Sharks have recalled forward Kevin Labanc from the American Hockey League’s San Jose Barracuda.